Working with director of Imtiaz Ali’s calibre is a dream come true moment for any actor. Newcomer Sara Ali Khan is one of the luckiest actresses to have bagged an Imtiaz Ali film so early in her career. Sara has been paired opposite Kartik Aaryan in Ali’s film which is tentatively titled ‘Love Aaj Kal 2’. The latest video from the film’s set is doing the rounds on social media which showcases Kartik sporting a new look. After wrapping up the Delhi schedule of the film, Imtiaz and his team are currently in Udaipur shooting its next portion. 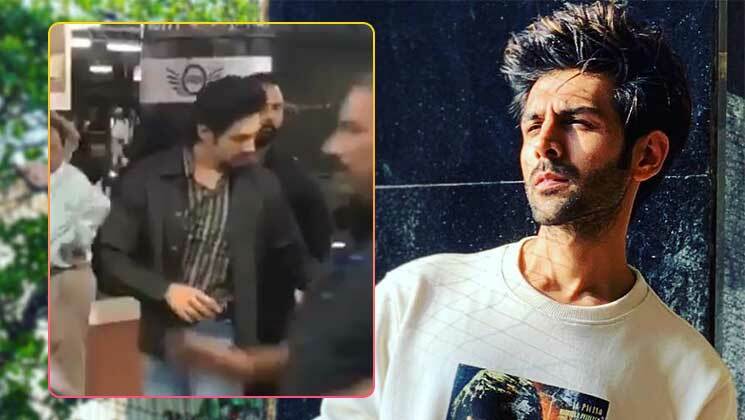 In the video that has been leaked from the film’s set, we can see Kartik wearing a checkered shirt and denim paired with a black jacket. Interestingly Kartik is sporting a French beard. And since we have never seen the actor in such an avatar, we are intrigued to know more about the film. Imtiaz is known for making complicated love-stories so it has to be seen what new story he will be presenting this time. The sequel also stars Randeep Hooda and reportedly Saif Ali Khan will also be making a cameo in it.